The New Jersey Pennysaver is dedicated to local businesses and targeted local advertising resources for New Jersey consumers. The Pennysaver is an American tradition, and trusted brand that has continuously delivered great results to the communities we serve. We have a full web department that will be offering beutiful web design and hosting services at a fraction of the cost of our competition. We offer you the ability to get premium advertsing and stay connected with those you need to reach when they are searching for you. The NJ Pennysaver not only gets you listed and displayed on our site but indexed on the top search engines google, msn and yahoo. 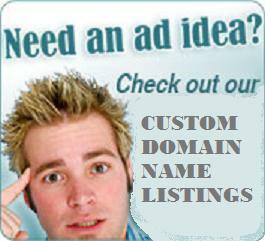 When those searching for your product or service come to our site or a search engine, we have you covered. The term online advertising is simply a term that relates to advertising online, or advertising over the Internet. In practice online advertising is about getting your website in front of the people who are interested in your product or service. All you have to do is find the best terms and phrases that people search for who would like to purchase exactly your goods and services and then saturate the internet with your postings and links. In fact more and more small business owners are using online advertising to market their goods and services to their target audience testing different keywords to specific pages of their website in an attempt to get more leads from their online advertising campaigns. And guess what? Yes small business people are finding out that without a doubt advertising online is the most economical way to market their goods or services to prospective buyers. No matter big or small, every business should be dedicated to internet marketing and advertising, and the New Jersey Pennysaver has the internet marketing professionals to help! The New Jersey Pennysaver is looking to partner with the local communities we serve and we will not stop until you are happy! For those looking to join a great team please contact us today.